There is a reason Girls is an awarding winning show and Season Six is holding to the tradition of excellent writing and acting. The season is well thought out and gripping and gives the audience some of that “personal growth” we have been wanting from these characters. The last few seasons of HBO's hit show Girls, while still being well written and acted, has made one wonder if it is just time to pack up and go. How long can we play out the "single, not sure I want to grow up or even how to" drama? Well, we have our answer…Six Seasons. HBO ended the series this April on a high note and honestly, how better to walk away? Coming out soon on Blu-ray, fans of the show who don't want to wait that long can catch it now on digital download. The whole group is back in their narcissistic best possible way, unwilling or unable to grow up but at least getting closer. Hannah (Lena Dunham; This is 40) starts Season Six more successful career wise than she ever has before, while her personal life seems, once again, to be in shambles. Jessa (Jemima Kirke; Tiny Furniture) and Adam (Adam Driver, Star Wars: The Force Awakens), we know from the Season Five Finale, are less than harmonious bliss, Marnie (Allison Williams, Get Out) may need the most growing up of the group ready to blame everyone but herself for her problems, most recently including housing. As we delve headfirst into this final season, we soon learn that Hannah is pregnant and isn't sure she wants to tell the father. Much of the season revolves (rightfully so) around the impending child and everyone's opinion of Hannah telling (or not) the father and Hannah's prospect of becoming a mother. This season is also a little about healing, as witnessed when Hannah and Jessa mend fences long since considered well beyond broken and frankly, pretty much burnt to the ground. Eventually, the season ends as it should with much of the cast "growing up" – something they should have done a few seasons ago. Part of the success of this show has to do with the cast itself. Dunham, Williams, Kirke, Driver, Zosia Mamet (Mad Men), Alex Karpovsky (Hail, Caesar! ), and Andrew Rannells (The Intern) have a chemistry that is undeniable and these actors play off one another beautifully. Lesser cast members also add another dimension to the show bringing layers to people's lives much like real life. Of course, they wouldn't be half as good together if the writing wasn't as sharp, witty and biting as it is. My only wish is for less cursing because, while sometimes it can be useful and necessary, I feel it goes over the top a little too often. The h264 codec and 1080p video are fantastic on the download. Bright colors are crisp and clean and shadowing is well defined. This gives the audience a sense of their surroundings while not overpowering any scene. Also, the Dolby digital 5.1 audio is clear creating a solid center channel for the dialogue to be experienced in full while the background noise is subtly placed on the edges. The extras are plentiful and enjoyable and include a four-minute "Inside the Episode" commentary for each episode. There are also several other extras including Season Five recap, the Season Six trailer, Fun Facts with Andrew Rannells, Finale Shows Extended Parts 1 and 2, Favorite moments from Hannah, Shoshanna, Jessa, and Marnie. All are a must watch for any diehard fan of the show. There is a reason Girls is an awarding winning show and Season Six is holding to the tradition of excellent writing and acting. The season is well thought out and gripping and gives the audience some of that "personal growth" we have been wanting from these characters. It seems like the perfect way to end and something any fan will want to see so I can't recommend downloading it enough. 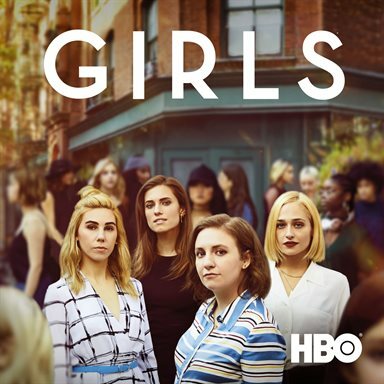 Download Girls: The Complete Sixth Season from the iTunes Store in Digial HD. For more information about Girls visit the FlickDirect Movie Database.